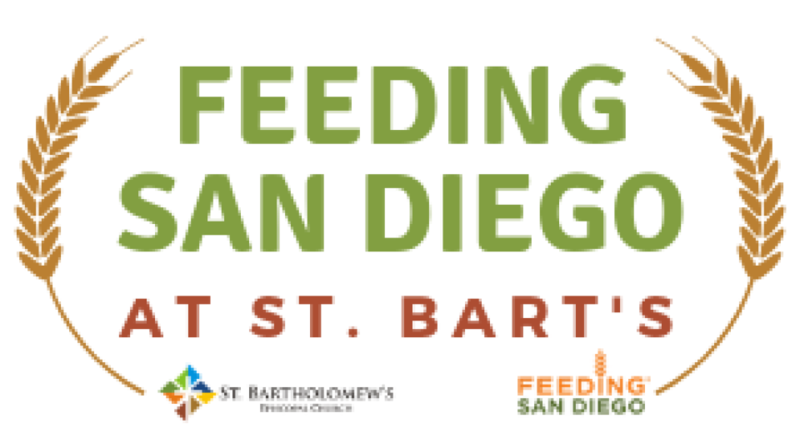 St. Bartholomew’s Episcopal Church partnered with Feeding San Diego to offer fresh food rescue distribution in Poway at 16275 Pomerado Road. Food distribution is offered at St. Bartholomew’s every Sunday beginning at 2 p.m. until food is gone. Feeding San Diego partners with local grocery stores and restaurants to rescue perfectly usable food and keep it from the landfill by providing it to those facing food insecurity. The food distribution is open to everyone! No forms to fill out. No income requirements. You do not need to be a member of our church. Just show up and get the food you need. Please bring your own bag. All are welcome - no exceptions! If you would like to volunteer or have questions, please contact .